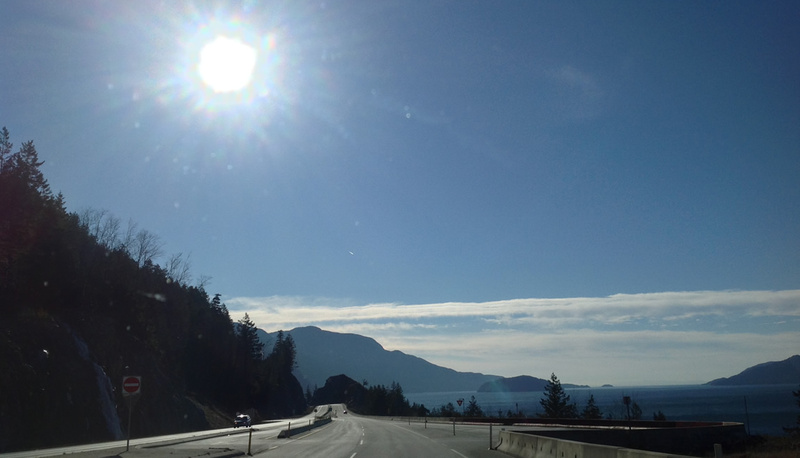 Last week, Nina Belojevic, Alex Christie, Stephen Ross, and I had the opportunity to present at INKE’s wonderful Whistler Gathering, “Building Partnerships to Transform Scholarly Publishing.” Needless to say, we had a blast, including the trip there and back, along the Sea to Sky Highway (pictured above; photograph by Alex). We particularly enjoyed the balance of talks and breakout sessions; because of this conference format, we all had significant time to discuss—with like-minded practitioners—some possible next steps in scholarly publishing. During the event, Alex detailed some of his ongoing research on multimodal communication (including research on designing platforms with interdisciplinarity in mind), and Stephen shared aspects of the “Linked Modernisms” project, which blends the publication of an encyclopedia with “expert-sourcing” and linked open data. 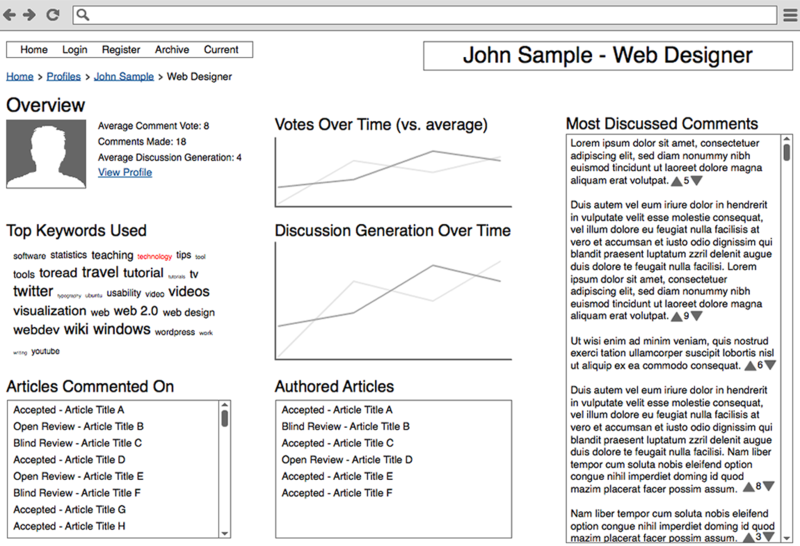 Nina and I also had the opportunity to present, walking our audience through wireframes (such as the one below) from our “peer review personas” project, the prototype for which is gradually moving into its production phase. We would like to thank Ray Siemens, Alyssa Arbuckle, Dan Sondheim, and the INKE team for a fantastic and brilliantly organized event. The format was perfect, the talks were compelling, and the conversations were engaging. Post by Jentery Sayers, attached to the Makerspace category, with the news tag. Featured image for this post care of Alex Christie.